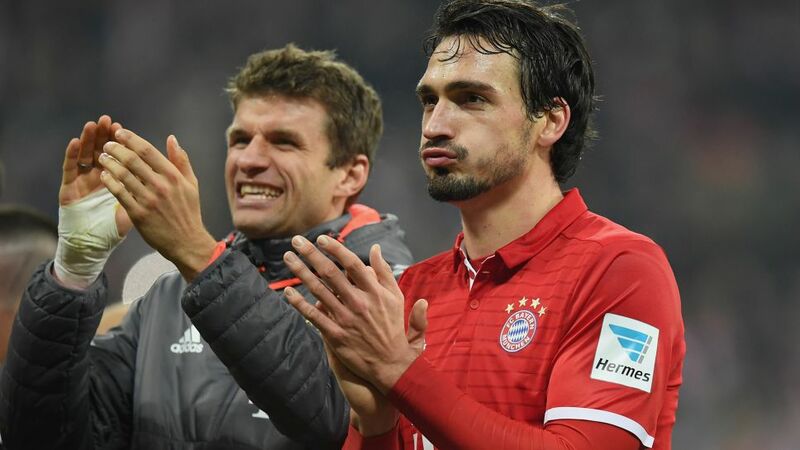 There was plenty of relief mixed in with the jubilation as Mats Hummels let his emotions wild after putting FC Bayern München ahead against Bayer 04 Leverkusen on Matchday 12. The 27-year-old's first Bundesliga goal for Bayern was enough to earn the record champions all three points from a tight encounter in which, after back-to-back defeats in the Bundesliga and UEFA Champions League, it was imperative for Bayern to win. Check how Hummels' performance has affected your Official Fantasy Bundesliga score here. Question: Was the set-piece you scored from one you had worked on in training? Hummels: We have indeed taken a good look at set pieces and the way in which we score goals from them, but this was not down to that. Joshua Kimmich was not even meant to take it, but he's one of the best when it comes to putting the ball in and I've benefitted from that. As soon as the ball is in front of the goal, ten metres out, there's always a chance of you putting it in. We've been dangerous from there all season, we just hadn't been putting the ball in - I more than anybody. So now it's even nicer that I've done it. Question: You seem to be lacking a bit of your usual dominance in defence, what's the explanation for that? Hummels: We were facing one counterattack after the next in the end. Suddenly we were being faced with four-against-four and five-against-five situations when it did get a bit hairy and we were struggling to relieve the pressure. We needed to control the game a bit better. This is not particularly our best period of form so you've got to expect that your opponents will get in front of our goal a bit more often than we would like. We're not always finding the balance, but we're working on it. This win is good for us psychologically and having more class or being tactically superior didn't really matter – it was one of those scrappy games.